A driver picks up a young man crossing Europe. Two police officers work a surveillance case. A passenger directs her taxi to the edge of a bridge. Three conversations grow increasingly uneasy. 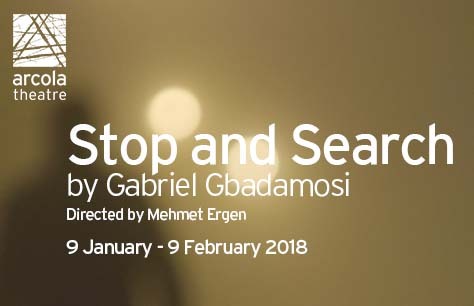 Stop and Search will receive its world premiere at Arcola Theatre. From award-winning writer Gabriel Gbadamosi comes a visceral new play, exploring a time of distrust where the lines blur between conversation and interrogation. The production will be directed by Mehmet Ergen, whose previous credits include King Lear at Southwark Playhouse. A thought provoking play, contemporary and hard hitting. Great performances all round. Great venue.